Good morning. It's Friday, Nov. 16. • Fire brings the world's worst air to Northern California. • Democrats pick up their fifth Republican-held House seat. 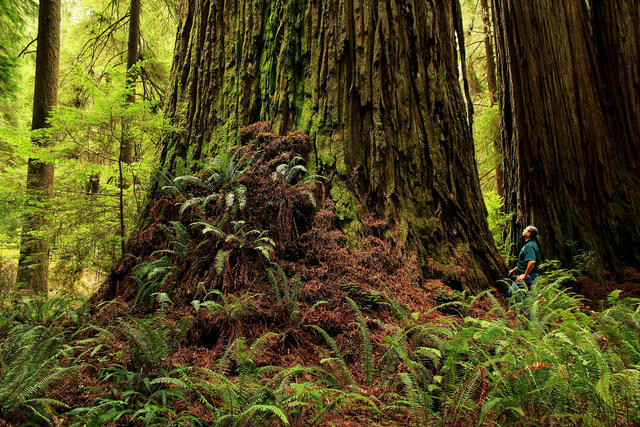 • And a plan to open up access to a mythic grove of redwoods. 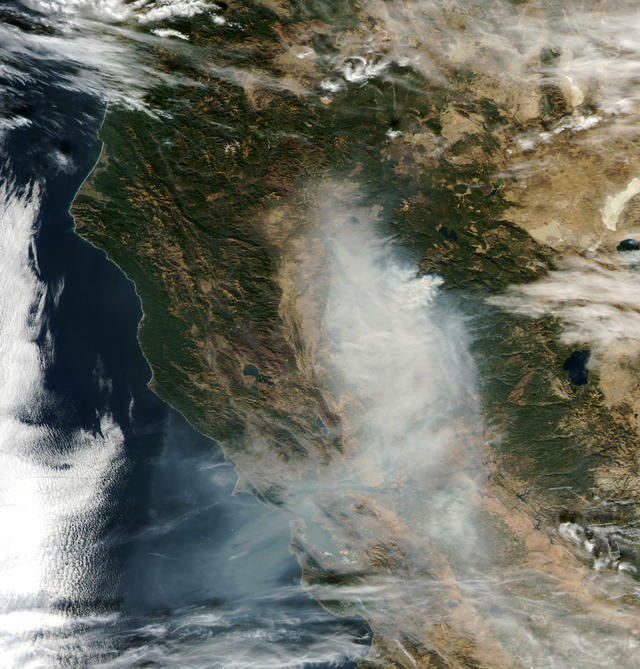 Satellite imagery captured the smoke over Northern California on Thursday. • Schools and colleges across the region were sufficiently concerned to cancel classes for Friday. • Meteorologists said temperatures were as much as 10 degrees cooler because the sun is being blotted out. • And on Thursday, San Francisco's air was ranked the worst of any major city in the world. The conditions have worsened since the Camp fire erupted last Thursday. "Pretty much all the smoke generated by this fire is ending up here," a meteorologist told SFGate.com. But as bad as the Bay Area has been hit, he added, it's worse in Sacramento and Butte County. A neighborhood leveled by fire in Paradise on Thursday. 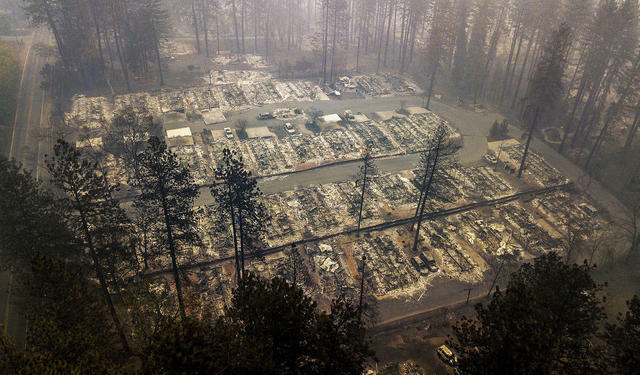 The Camp fire death toll reached 63 on Thursday with a list of 631 missing people — a staggering 501 more than the figure given a day earlier. The authorities said the dramatic rise resulted from a comprehensive review of 911 calls and missing-persons reports. The search for victims is expected to last weeks. President Trump said he would visit California on Saturday to tour the devastation in Paradise and meet with victims. It was uncertain how Trump would be received in a state that he's repeatedly maligned. His initial response to the latest fires offered no condolences but blamed poor forest management for causing the disaster. Inmate firefighters find that after their release California fire departments are unwilling to hire them. 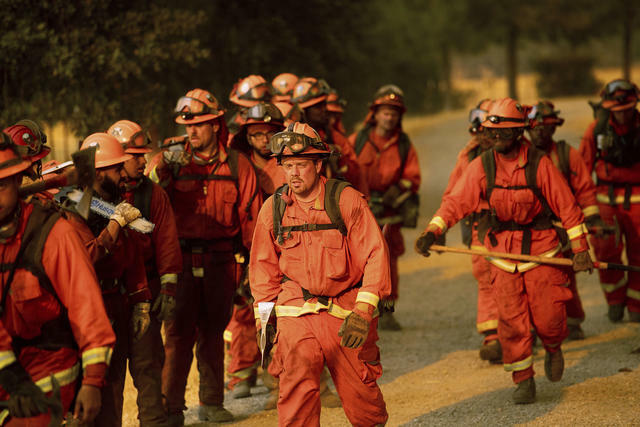 California relies on prisoners to fight wildfires more than any other state. Roughly 1,500 have been deployed to help fight the latest round of blazes — for about $2 a day. Yet their firefighting prospects after release are slim. "I can tell you that someone who has been incarcerated and part of an inmate hand crew has no chance of employment with this agency," a Los Angeles County fire official said. As if they hadn't been through enough: a norovirus outbreak has been sweeping through four evacuee camps in Northern California. More than 140 people have had symptoms, with several people acutely ill. "The number of sick people is increasing every day," public health officials said. 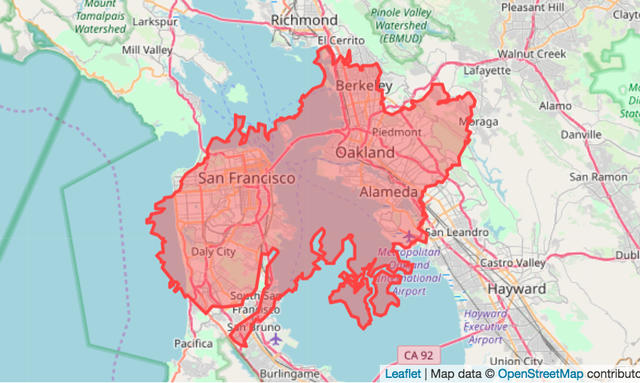 A map depicts the perimeter of the Camp fire over the Bay Area. Butte County's Camp fire is as big as three Riversides or six Modestos. NBC News created an interactive that overlays the perimeter of the Camp, Woolsey, and Hill fires on top of any American city to give you a sense of their enormous scale. Meteorologists were predicting some relief next week with a pair of storms expected to dampen parts of both Northern and Southern California. Precipitation from storms forming over the Pacific could arrive as early as the weekend. Katie Porter at an election night event on Nov. 6 in Tustin. 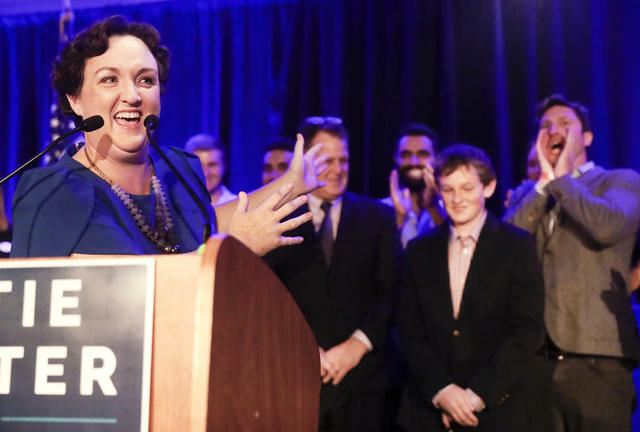 California Democrats picked up their fifth Republican-held congressional seat, as newcomer Katie Porter toppled Rep. Mimi Walters in Orange County. Democrats have now captured three of the four House seats in the county, once a Republican stronghold. The L.A. Times's John Myers called the latest result an example of a "blue flood." In contrast to a crashing wave, the flood keeps rising. Rep. Mimi Walters and another Republican candidate, Young Kim, have been making allegations of election fraud. Neither has produced evidence. Election watchdogs said attacks on vote counts can have serious consequences. "If people don’t believe in the legitimacy of elections and start acting that way, then the whole thing can disintegrate very rapidly," a democracy scholar said. 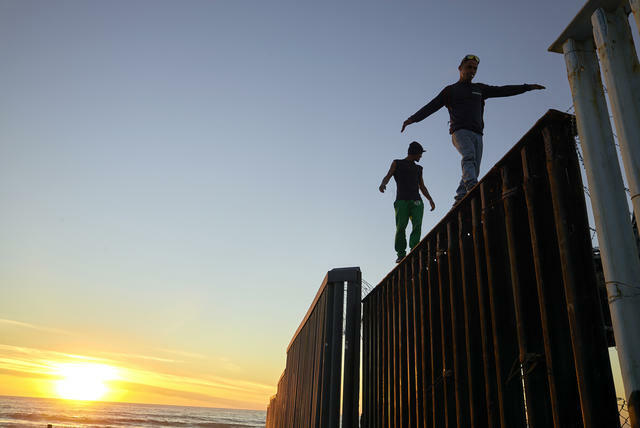 Two Central American migrants walked atop the border between San Diego and Tijuana on Wednesday. After traveling thousands of miles, more than 1,750 exhausted Central Americans have arrived in Tijuana, across the border from San Diego. The welcome from locals has been less than warm, as scuffles broke out. With U.S. border inspectors processing only about 100 asylum claims a day, they were likely to be waiting in Tijuana for months. 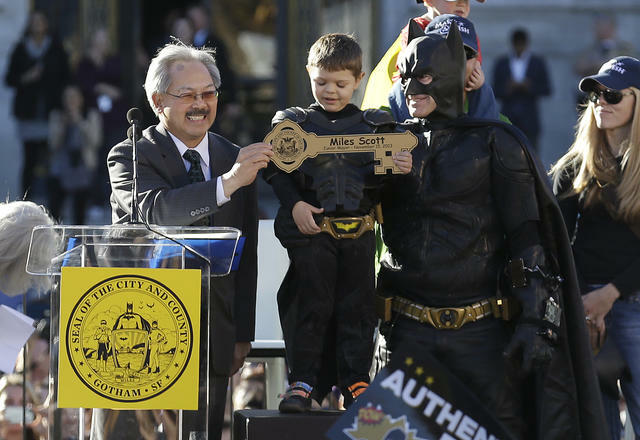 Miles Scott, dressed as Batkid, received a key to the city in San Francisco in 2013. Five years ago, a child with leukemia warmed the hearts of millions when he played the part of Batkid saving San Francisco for a Make-A-Wish Foundation dream. Five-year-old Miles Scott rescued a damsel in distress, defused a bomb, and chased an archvillain. The story's ending, it turns out, has gotten a lot happier. Now 10 years old, Scott is cancer free. The “Screaming Titans” redwood in the Grove of Titans in Northern California. After a magnificent grove of ancient redwoods was discovered near the Oregon border in 1998, people started flocking there and trampling on the trees’ delicate root system. Now officials have announced a $3.5 million plan to allow hikers to visit the mythic Grove of Titans in Jedediah Smith Redwoods State Park using an elevated walkway. John John Florence, Corona Del Mar. 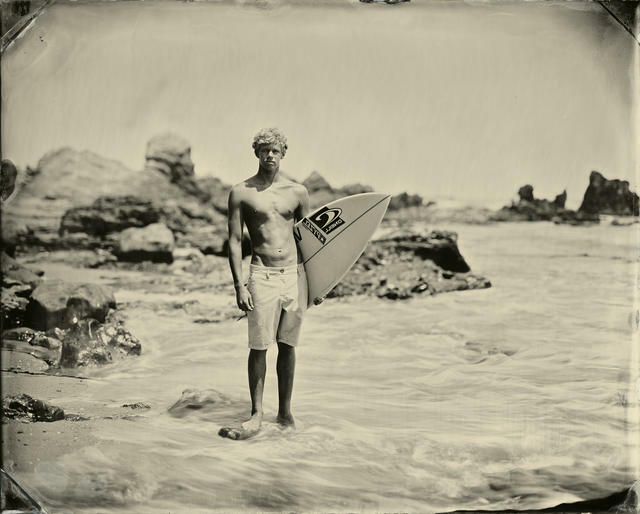 Joni Sternbach's gorgeous tintypes of California surfers conjure another era. Titled "Surfland," the project uses a primitive photography process to capture a modern wave-riding tribe. Sternbach shared some of her images with us. 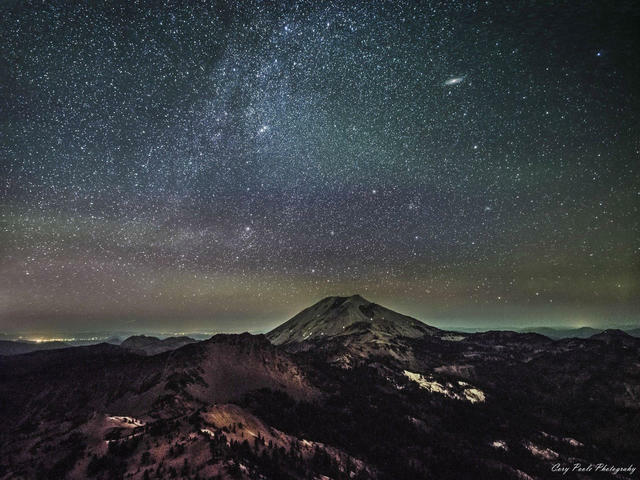 The Andromeda Galaxy above Lassen Peak. Lassen Volcanic National Park is a bizarre landscape of gurgling mud pots, hissing vents, and a showstopper: Lassen Peak, rising 10,457 feet about 50 miles east of Redding. A travel writer said visitors to high-profile destinations like Yosemite or Sequoia expect to be blown away. At Lassen, she said, "it takes you by surprise." An image from the "39 Million Heirs" ad.